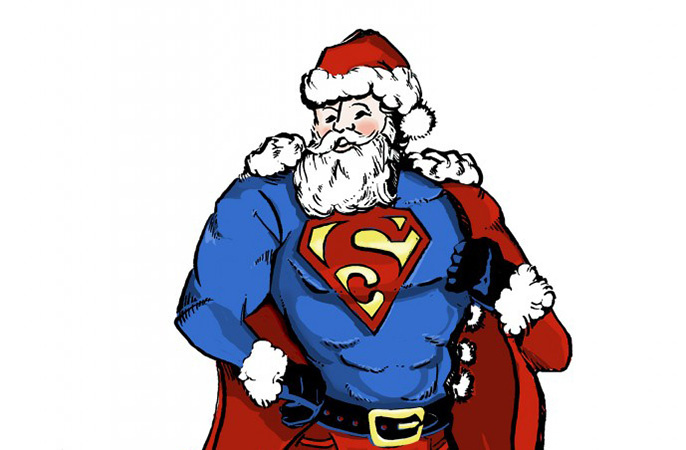 Does Santa Claus have more in common with superheroes than we think? Michael Dennin, physics and astronomy professor from the University of California, Irvine says in the world of superheroes, Santa could be in a league of his own. Dennin teaches a class called "The Science of Superheroes," and uses the analysis of comparing Santa's "powers" to the likes of the Flash, Hulk and Antman as a method to teach the theory of relativity and the conservation of mass. The comic book fan tells Take Two's host A Martinez that students are initially excited about the class but often forget the work involved in solving the mysteries of St. Nick — conundrums like calculating how the portly santa can squeeze into a tiny chimney.